There’s no reason why preparing for your pregnancy should cost the earth, especially when there are so many great ways to save money online. This guide should help you work out what you need to look out for when you’re expecting. The very first time you get to meet Baby should be a magical experience where you can feel completely relaxed and at ease, comfortable in the knowledge that you as prepared as possible. That all starts with the hospital overnight bag. Comfort is everything here. It’s difficult to predict just how long you’ll be in hospital and you want to be fully prepared. Think about your own care, simple things like hair bands, face cream, and shampoos for a post-birth wash and a comfortable nightshirt (front opening if breastfeeding). You will also need baby clothes for a newborn, think bodysuits and sleepsuits as well as a going home outfit (don’t forget to take the season into account here when shopping for baby clothes – does Baby need sunscreen or a scarf?). Nappies are also essential. Don’t forget to pack a camera (or three) so you can take photos for all the doting aunties, uncles and grandparents. The final thing to remember, that absolutely must be made ready during your pregnancy, is the car seat. For babies a rear-facing car seat is best as during a frontal collision (the most common type of car accident) it will support the baby’s head, neck and spine. The car seat should fit your car and be something you are comfortable with securing, operating and removing before Baby’s first car journey. It should be ready in the car before the hospital visit – you won’t be able to bring the bundle of joy home without it. Although it’s tempting to rush out and buy the adorable designer branded baby clothes, if you’re looking for bargains, it’s important to remain practical when shopping for baby clothes as they will be growing fast and needing replacements frequently. Even on a day to day basis, you’re likely to getting through several changes of clothes! To make sure that you have enough and aren’t paying over the odds, look to try buying the essentials in bulk – you can find babygrows and similar in multipacks, which will help save money in the long run. As you’re preparing for the birth of your child and shopping for baby clothes, make sure to stock up in advance and get clothing to cover their growth for the first three months. Remember, you’ll need fewer clothes for newborns as they’ll soon out grow them. Never underestimate the sheer frequency of nappy changes either, look for baby clothes that will be simple to take on and off. Of course, you’re sure to be given plenty of things by friends and family, most of which it doesn’t matter if it’s second hand or not. Clothes, toys, cots and soft furnishings can all be washed and cleaned, and then good as new. Electronic goods, however, these you should be careful about accepting second hand because it’s possible that they have become faulty with time. The most important of all electric goods you’ll be buying is your baby monitor, as this is your ears – and sometimes your eyes – on your baby when you’re not there. Not only does a baby monitor insure your child’s safety, it will help you find more time to rest because you’ll know that baby is well looked after, even if you’re asleep. 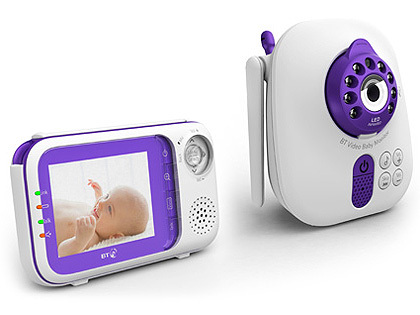 When looking for a baby monitor it is important to take the size and structure of your house into account. Thick walls, a large house or interference from household objects such as laptops, other monitors or mobile phones can all disrupt the signal between the baby’s sleeping place and you. Buying a digital baby monitor, rather than analogue, will help as they use digital encryption to block unwanted frequencies. Make sure you buy a baby monitor in good time, as you will need to check that it works in your home and have time to return it if it’s not the right one for you. Do not just trust the range of the monitor as advertised on the box, this is a maximum distance as judged by an open field test. In the home it could be much shorter, and it’s imperative you know you can rely on your baby monitor to let you know what is happening in your baby’s bedroom. Be honest with yourself. Think about what you will need to feel secure that your baby is safe and sound when you’re not in the room. If you’re a cautious person (like most new mothers!) then you may want to consider investing in a baby monitor with some additional features. 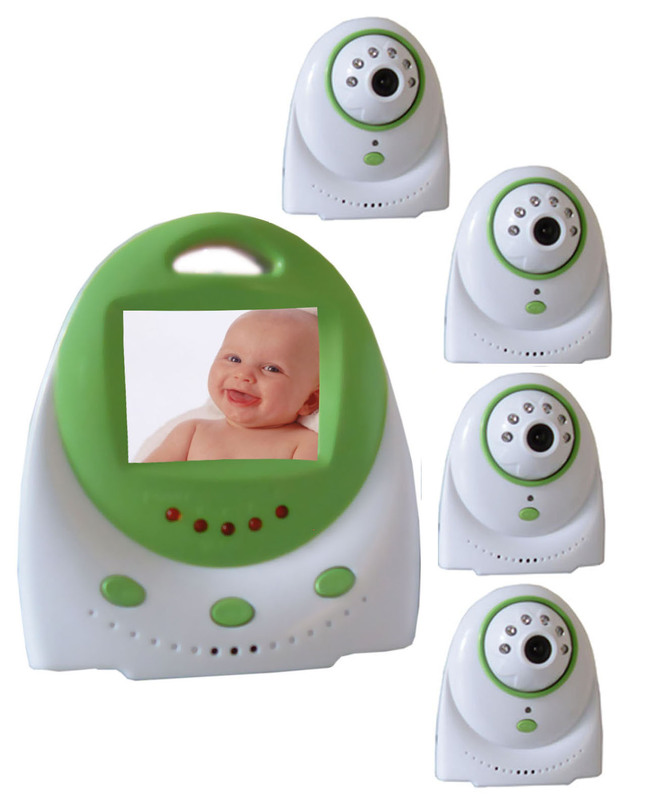 A video monitor can let you see what is disturbing Baby, and additional features such as temperature gages and motion detection are all available at an extra cost. Take the time during pregnancy to shop around, read baby monitor reviews, try out some of the systems and make an informed decision about what is right for your family.